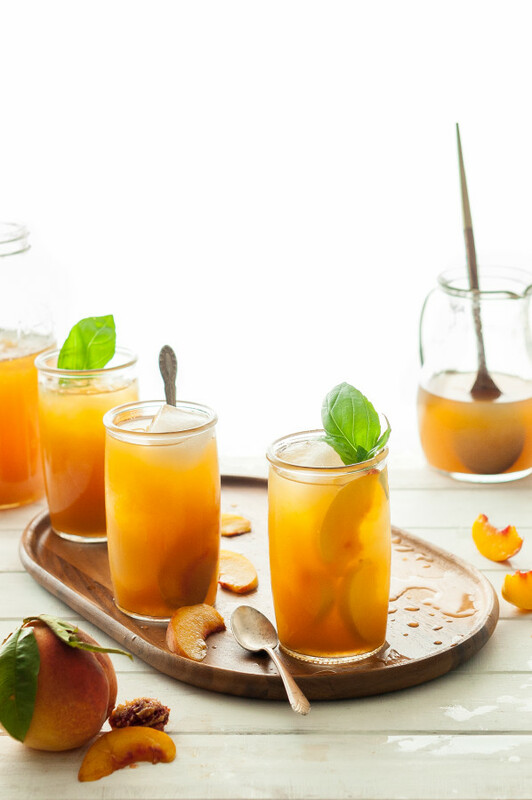 *A real, clean Iced Peach Tea with no refined sugars, artificial flavors, or caffeine. 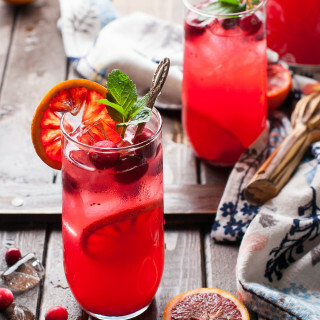 Just pure, natural, and healthy ingredients to boost your immune system through a refreshing ice-cold beverage! 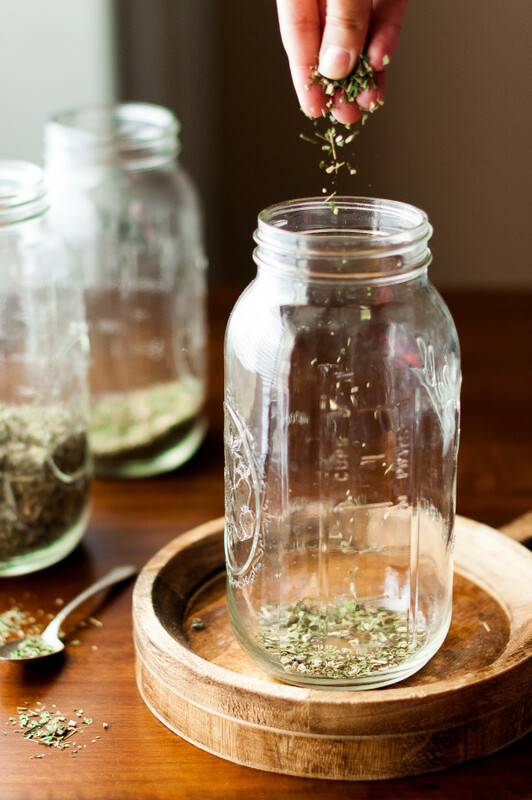 Fall, Winter, and Spring (ok, so most of the year) are our tea drinking seasons. We love warm mugs of honey lemon tea or chamomile through the cold months. 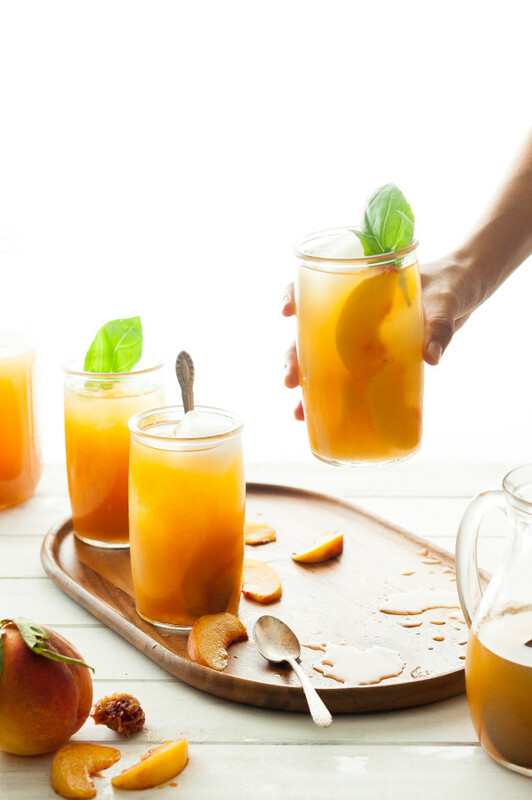 Through the summer I tend to forget about it a little bit, but when the September peaches roll around I remember just how much I love Iced Peach Tea. I don’t like to drink caffeine so all of the teas we use around here are herbal. My favorite is Echinacea. 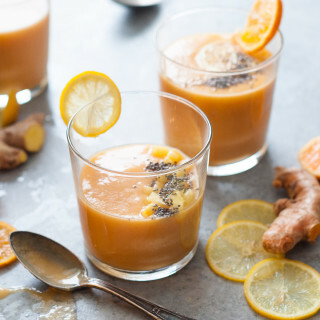 Not only does it taste so good, but it is incredibly good for you as well and gives your immune system a boost. 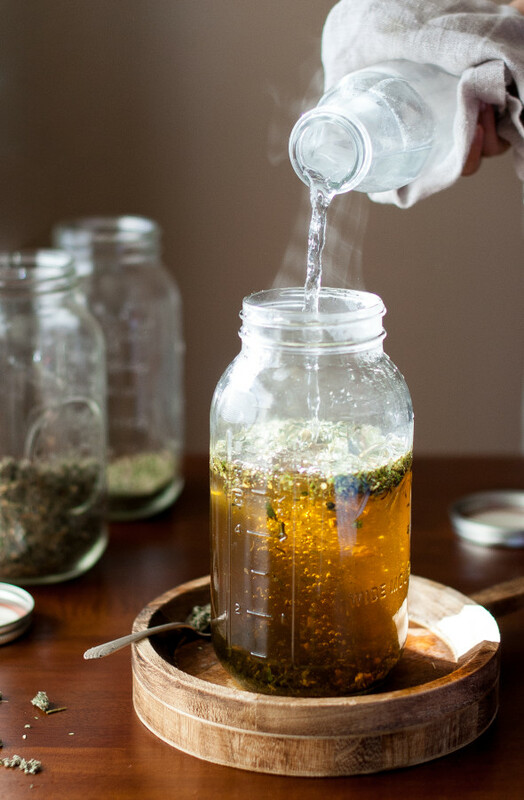 I rotate between blends with raspberry leaf, peppermint, chamomile, barbarries, and others, but echinacea is always making a constant appearance in our teas. 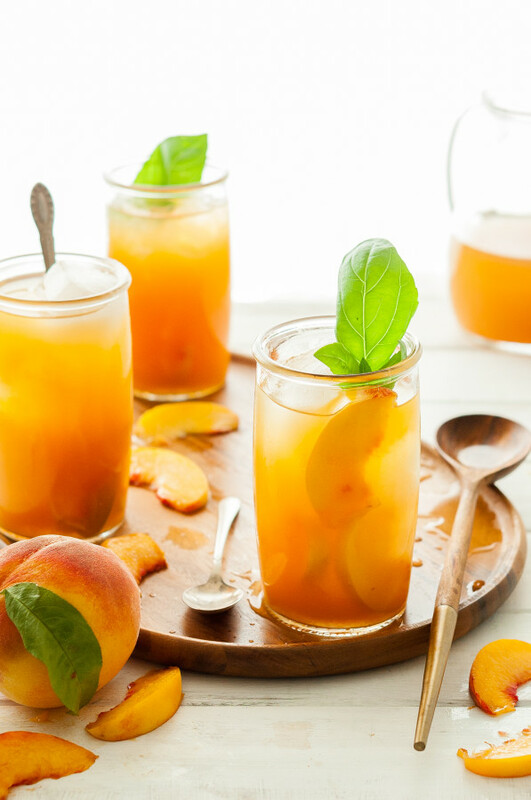 This Iced Peach Tea is my powerhouse blend for a fruity refreshing immune-system boosting drink while peaches are in season. As I mentioned, the echinacea supports the immune system. Sweetened with raw honey you add in all the antiviral, antibacterial properties it has to offer (along with many other benefits) as long as you add it in while the water is not hot so that those properties remain intact. Lemon juice (from raw, un-refrigerated lemons) has antibacterial properties as well as a plethora of other health benefits. Actually, lemons are one of my favorite fruits in the world. I drink a tea of lemon and honey all through the cold months and I swear it helps me stay healthy. The peach puree is the best part of this drink. 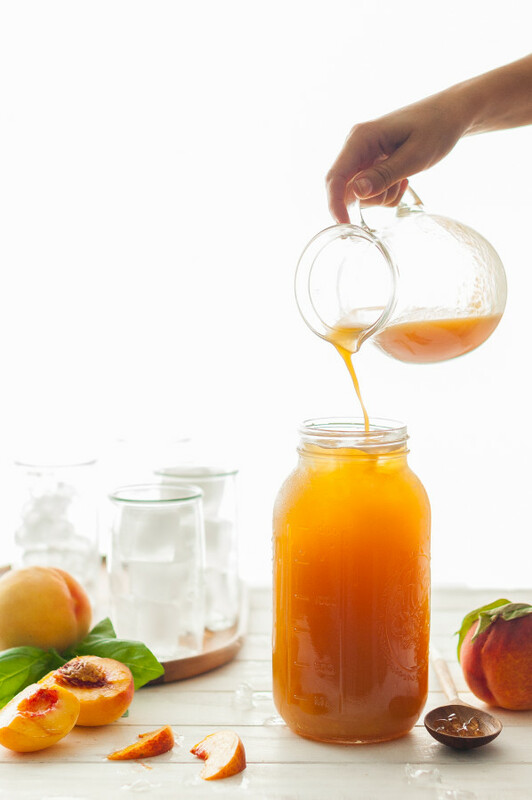 Nothing beats the flavor of real, fresh peach juice. It’s natural sweetness means you need less honey, as well. 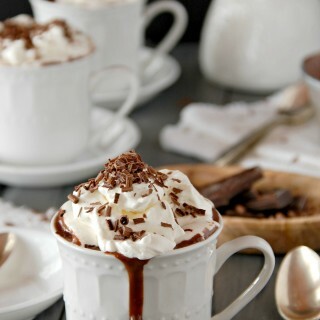 Serve over a glass stuffed with ice! 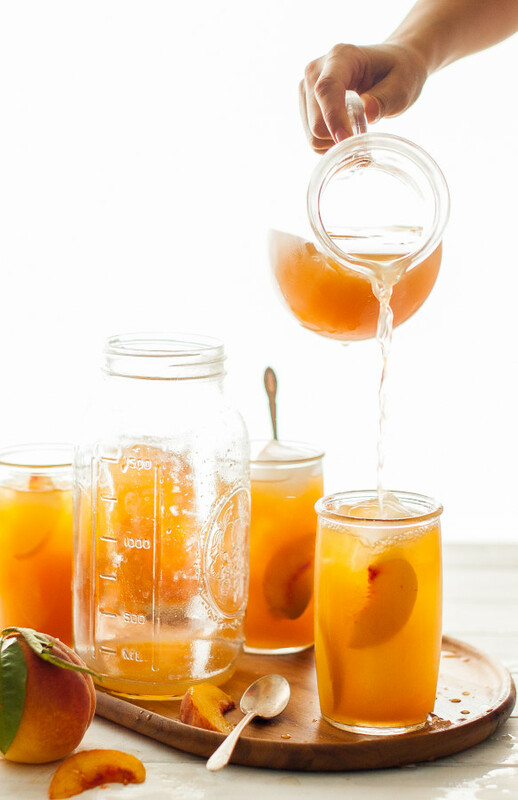 Sometimes I drink this stuff straight out of the half-gallon mason jar, it’s that good and thirst-quenching.